WASHINGTON (AP) — The Supreme Court on Monday refused to hear an appeal from a California billionaire who doesn’t want to open a road on his property so that the public can access a beach. The justices said that they will not take up Vinod Khosla’s appeal of a California appeals court decision. The case had the potential to upend California’s longstanding efforts to keep beaches open to the public. The secluded beach south of Half Moon Bay, about 35 miles (56 kilometers) south of San Francisco, is only accessible by a road that goes over Khosla’s land. The previous owners of the property allowed public access to the beach for a fee. But Khosla’s attorneys say the cost to maintain the beach and other facilities far exceeded revenue from the fees. The government cannot demand that people keep their private property open to the public without paying them to do so, Khosla’s attorneys said in their appeal to the U.S. Supreme Court. The state appeals court ruling would “throw private property rights in California into disarray,” the appeal argued, saying other property owners along California’s coast would prefer to exclude the public. The Surfrider Foundation said Khosla’s appeal to the U.S. Supreme Court was premature because he had not yet applied for a permit and received a decision from the state. Dori Yob Kilmer, an attorney for Khosla, said Khosla will now seek a permit from California’s Coastal Commission. 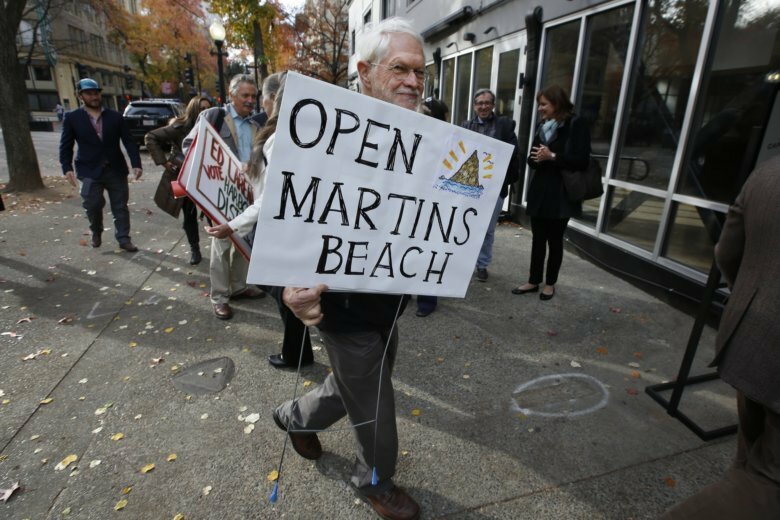 “We will be considering how to proceed and hope the owner will work with us to assure that the historical public access to Martin’s Beach remains available for present and future generations,” she said.